Hi, everyone! ^^ Here you go with a huge series called "Shichisai no Ramyurosu" by Sanbun Kyoden, courtesy of DeYeti. I personally translated only the last two out of five batches of this manga. 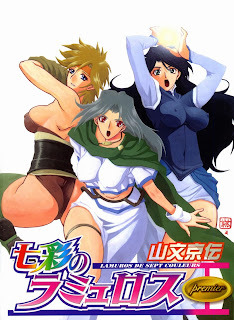 Nevertheless, this entire series, except for the first four chapters, was edited by my editor Yume, so I took the liberty of posting it on my blog. Please find the detailed information regarding translators and editors, as well as the download links below. ^^ I hope you will all enjoy reading this amazing manga!